Because, wow, there is so much to see in Japan! And not just ancient and interesting cultural highlights, amazing nature as well! I never realized 85% of Japan is mountainous, and not just regular mountains, volcanos! Lots of volcanos. And forest. And lakes. 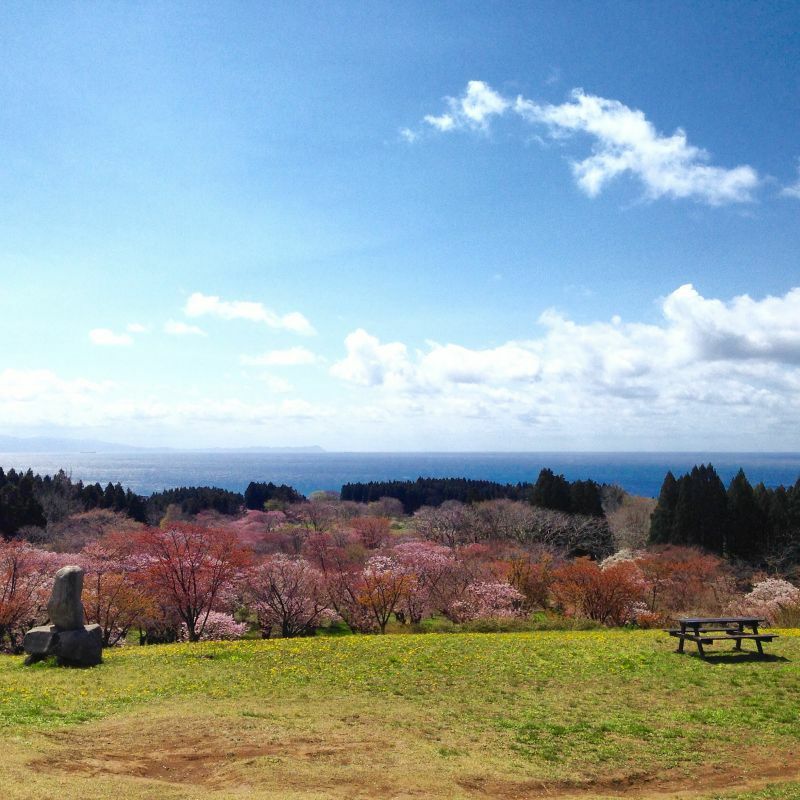 You can see more pictures of the beautiful nature of Japan in this post. But I digress, the purpose of this post is to give you an overview of the itinerary of our 1-month trip around Honshu and Hokkaido. In the map you can find our Japan itinerary, accommodation and highlights we visited during our one month trip. I traveled around Japan for a month, together with my husband. We started and ended our trip in Tokyo. We spent 10 days on Hokkaido and 19 days on Honshu. On Hokkaido we traveled by car, on Honshu we used public transportation (trains and buses). If you want to know more about the costs of our Japan trip, check my Japan budget breakdown. 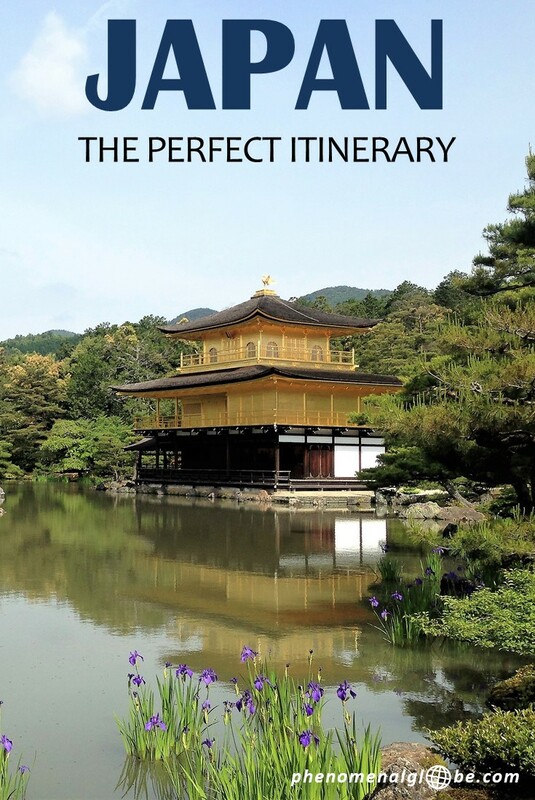 I have written detailed guides for pretty much every each place we visited in Japan, containing information about our exact day-to-day activities, transportation and accommodation. You can find the links to those posts in the itinerary below. 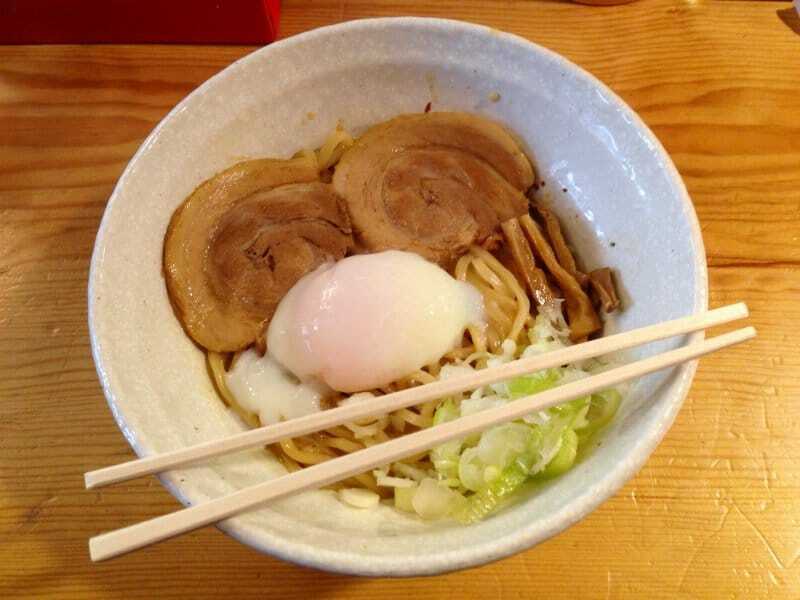 If you want to read more about which delicious dishes to eat in Japan, check this post. I have to admit I was slightly worried about finding affordable accommodation before traveling to Japan, country of the rising sun. Which is why I searched Agoda, Booking and Airbnb meticulously to find the best possible options. I am happy to say that I did and that it’s definitely possible to find cheap places to stay in Japan! I calculated that our average accommodation costs per night were €25/$29 (for both of us together)! Curious how we managed to keep our accommodation costs so low? The key is to go camping and/or sleep in your car! Don’t know what to pack for your camping trip in Japan? No worries, check out my downloadable packing list here! Here is a list of all the places we stayed during our 1 month trip around Japan. The accommodation is listed in visited order, further along in the post you can find more detailed information of all the places we stayed at. Altogether my accommodation was quite varied: I spent 4 nights at campsites and 4 nights we slept in our car. I stayed at 3 Airbnb places, 4 hostels and 5 hotels. I provided links to the hotels on Agoda and Booking and also added links to the places listed on Airbnb and the campsites I stayed at. If you have any questions about an accommodation, please don’t hesitate to contact me! Golden Week is the period from the 29th of April to early May and includes a number of Japanese holidays. During this week many Japanese people go on holiday and accommodation can be extremely difficult to find. Therefore, if you are traveling in peak season and Golden Week in particular: book your accommodation ahead! During our trip I was looking for accommodation for a night during Golden Week. I have never seen Agoda and Booking come up with only 2 available hotels in an entire city, the cheapest one was €400 a night… I was very happy to have our tent and car as a backup option! 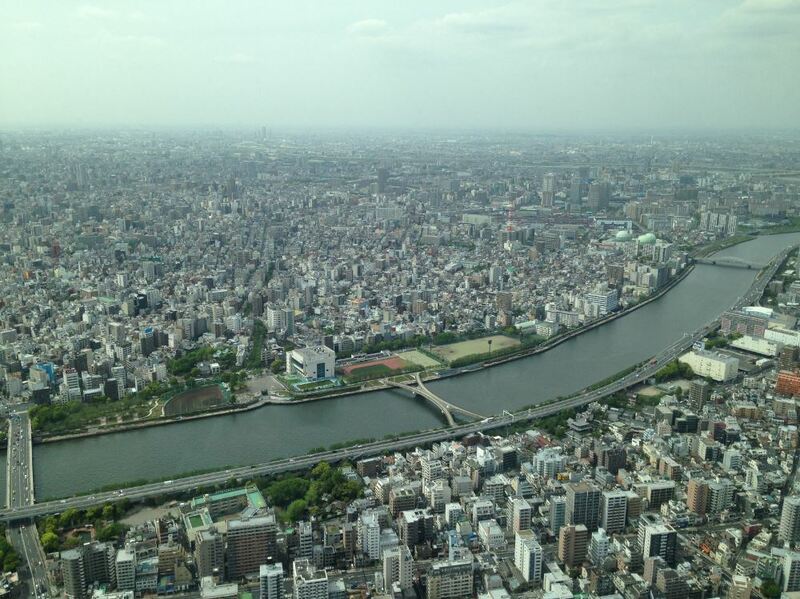 After a long flight Frank and I landed in Tokyo, the most populous metropolitan area in the world. While Tokyo can be extremely busy (like Tokyo Station and Shibuya Crossing) there are also much more quiet areas (such as Ueno Park and the neighborhood Kotake-mukaihara where I stayed in a lovely Airbnb. I spent 3 days exploring Tokyo, strolling around the charming area Kagurazaka, marveling at the size of this vast city from the Tokyo Sky Tree and enjoying Japanese food. It’s safe to say that 3 days in Tokyo isn’t nearly enough, there is so much more to see and do! Check out my Tokyo travel guide. + Niki is a great host and made us feel welcome from the moment I booked the room. She provided excellent directions to the house and put up notes in the apartment which made finding everything very easy. Tea and coffee are complimentary, the shower is good and everything is clean. Most importantly, Niki is so nice and it was great to meet her and her mother. The apartment is 5-10 minutes walking from a metro station, in a nice green suburb. 7-11 and Family Mart are found between the metro station and the apartment. Check the room on Airbnb | Rating: 4,5 stars | Price paid for a night: €38/$42. Hokkaido showed me once again the power of nature, the wind was fierce and freezing, there was snow and hail, but also sunshine and sakura. We explored Hokkaido by car and I truly love the freedom of having my own wheels. We discovered places we wouldn’t have been able to visit if we didn’t have a car and each of those places was absolutely incredible. 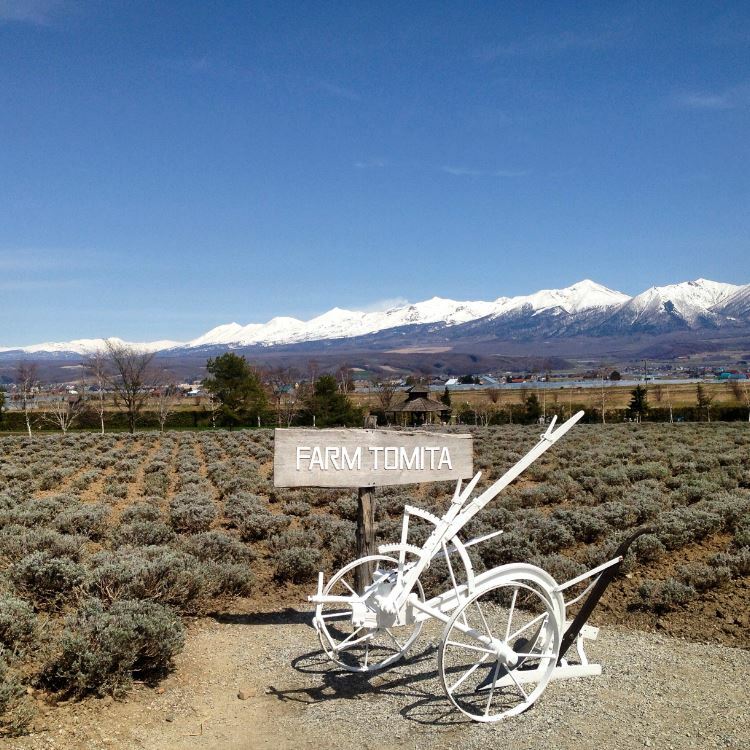 Check out my Hokkaido road trip guide. We went from the cold of Hokkaido to the humidity of Hiroshima and Miyajima Island. Visiting Hiroshima was a very moving experience. It felt strange to wander streets you knew were completely vaporized when the A-bomb was dropped. An entire city lost… I couldn’t, and still can’t, grasp the enormity of that tragedy. 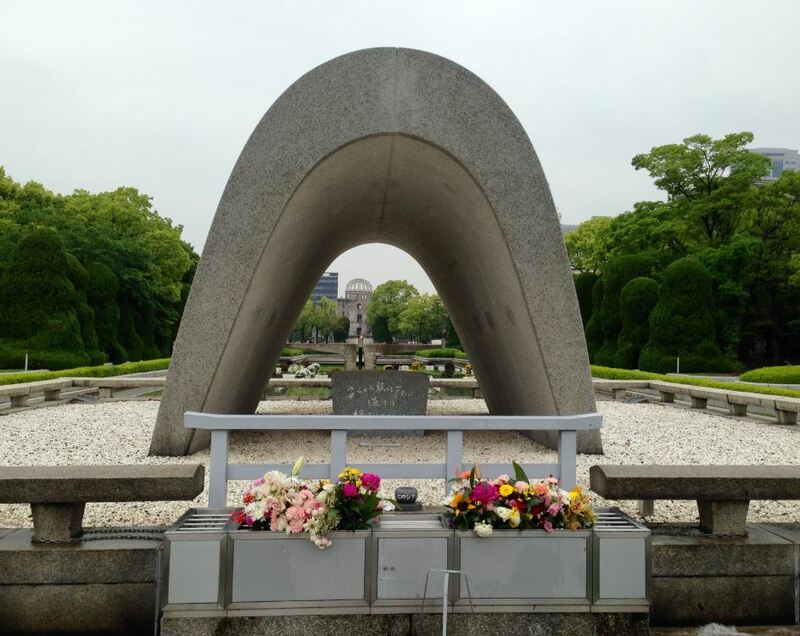 Check out my Hiroshima city guide. + Great location (within walking distance or the JR station, the Peace Memorial Park and Hiroshima Castle), free tea and coffee and free luggage storage after we checked out. – The room is quite small (I didn’t mind. Again, I slept in my car, any place where I could stand up straight seemed spacious to me;-). But anyway, if you have lots of luggage this may not be the hotel for you. Click here to book via Agoda (rating: 7,9) | Click here to book via Booking (rating: 7,6) | Price paid for a night: €40/$45. 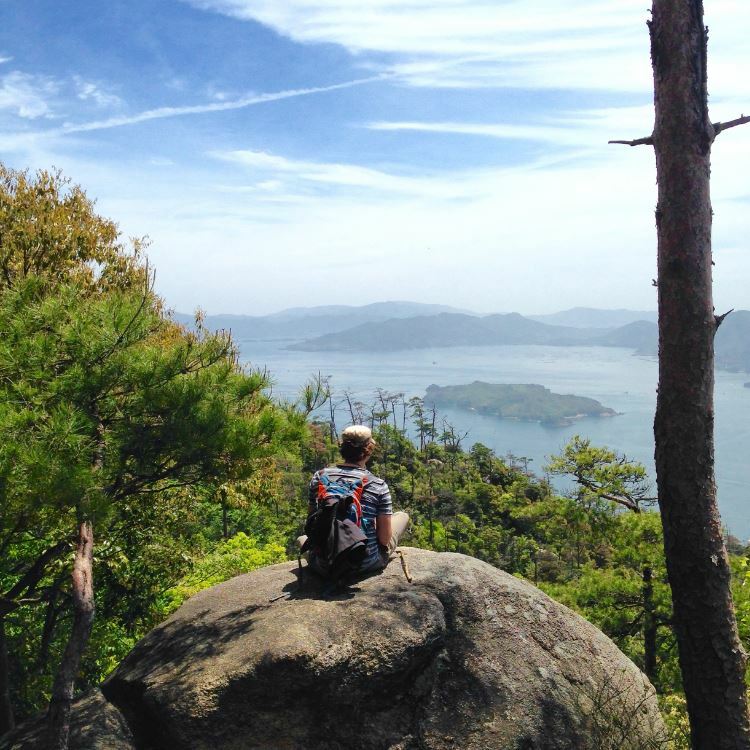 From Hiroshima we traveled to Miyajima Island where we climbed Mount Misen, went camping surrounded by deer and admired the famous floating Torii gate. 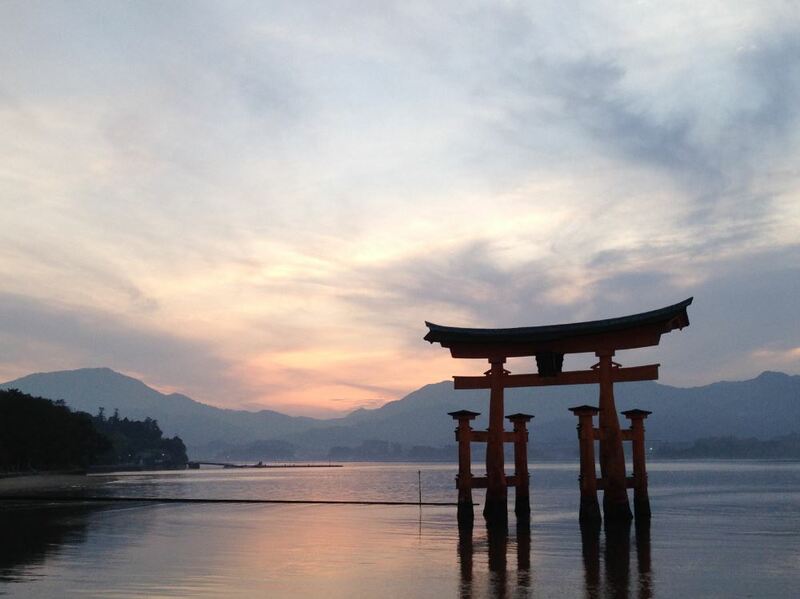 Check out my Miyajima camping and hiking guide. – No shower and no onsen either! Which is why we left after two days, we were in desperate need of a shower;-). Check the website for more information | Price paid for a night: €8/$9. Looking back on our itinerary around Japan it struck me that it had a consistent sequence of city – nature – city – nature. 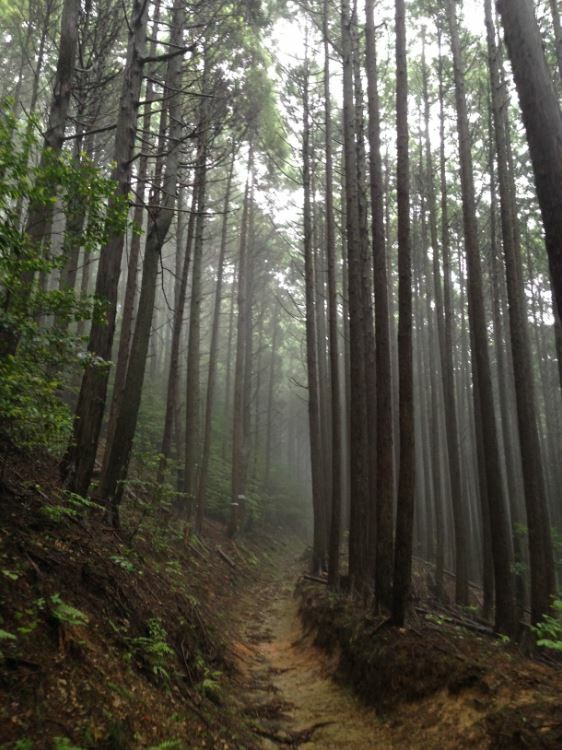 Which was also the case for Nara and Koyasan. 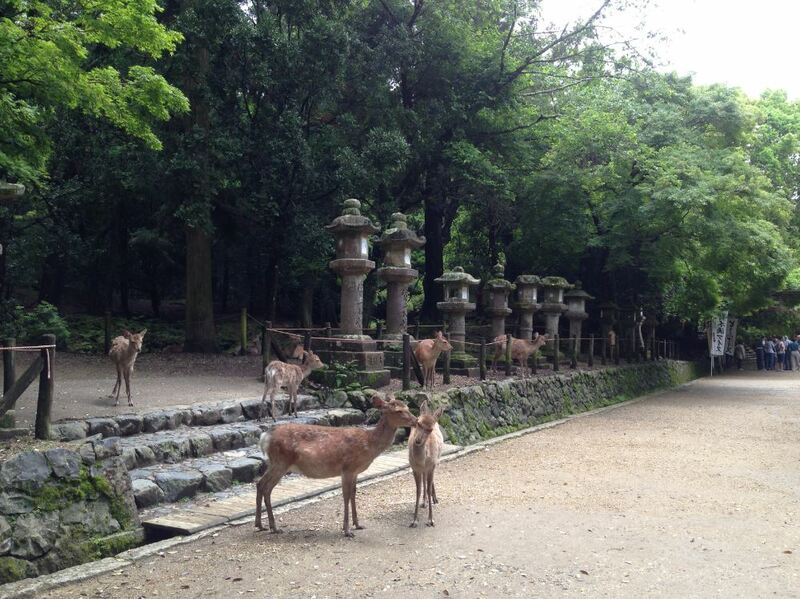 Nara, while far from a big city, is home to about 400.000 people and most well-known for its temples and deer. And we saw plenty of both during our one day visit to Nara. 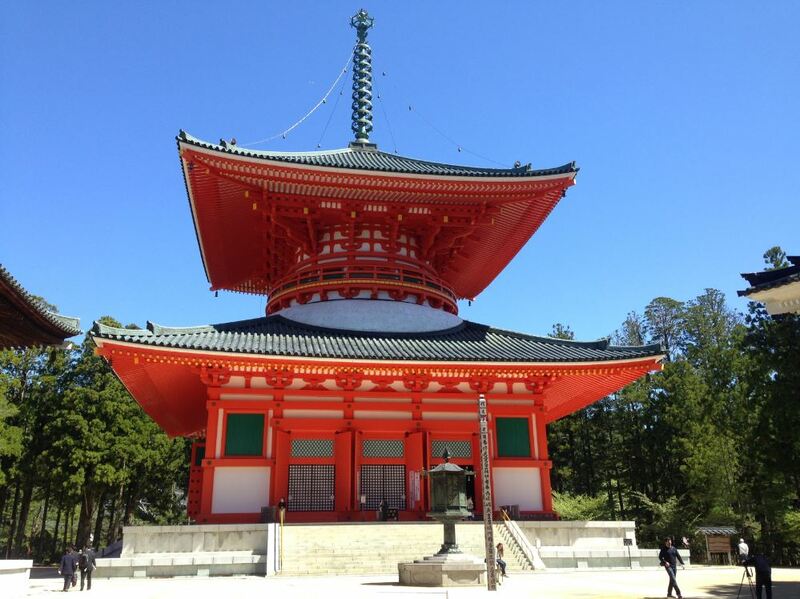 Check out this great guide to Nara for more details! 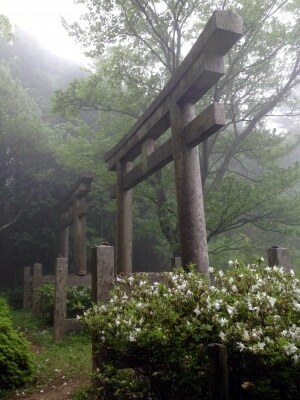 + Such a lovely place in Nara! A tiny but complete apartment with a bathroom and a tiny kitchen with a hotplate. The location is great, the appartment is next to Nara park and very close to the old town. Comfy beds and overall great stay. We didn’t meet Baek but she send detailed instructions how to reach the place and responded quickly to my questions before arriving. Highly recommended! – Nothing, I would love to stay here again! Check the room on Airbnb | Rrating: 4,5 stars | Price paid for a night: €38/$42. And if our trip to Koyasan wasn’t perfect enough already, the next day the sky was clear and blue. We explored the many temples enjoying the sunshine and pleasant temperature. Check out my Koyasan chōishi-michi hiking guide. + I loved everything about this place, but mostly the philosophy of the wonderful owners Ryochi and Yuri who are running this place. They want magical Koyasan to be affordable for every traveler, which is why they started Koyasan Guesthouse. You can read all about it on their website. Besides the inspirational story that led to the creation of the guesthouse, it’s such a lovely place to stay. The design is beautiful, lots of wood, white and artsy items. Also, the food on the menu is delicious and home cooked by Yuri. For dinner we had an amazing Thai curry and breakfast included freshly baked bread. – Nothing, I just didn’t want to leave! Check the Koyasan Guesthouse website to book | Price paid for a night: €56/$61. Kyoto with its many temples and other highlights was a great place to visit. We strolled around the busy streets for three days and still didn’t run out of places to see. 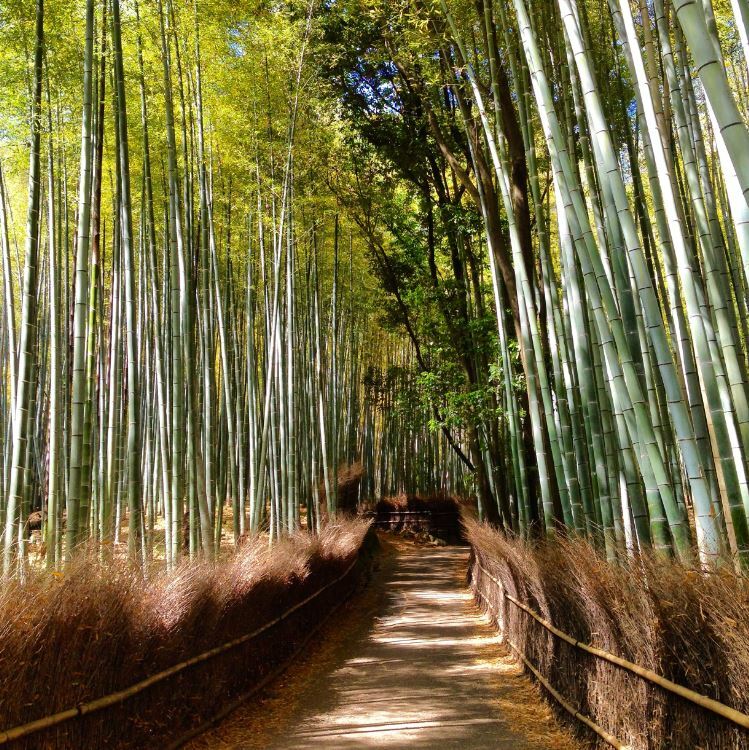 Arashiyama, the Fushimi Inari-taisha shrine and Kinkaku-ji are absolute musts on your Kyoto itinerary! I liked the vibe of the city and the gorgeous weather didn’t hurt either. And again, the food… Oh Japanese food, I would travel back to Japan today for a bowl of aburasoba or ramen! 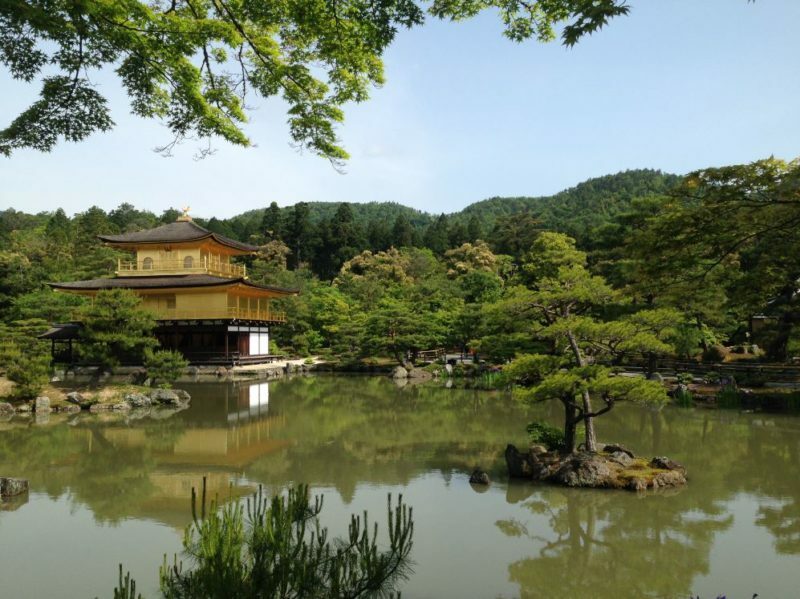 Check out my Kyoto travel guide. + What you see is what you get! Yes, the apartment is old and basic, but that’s clearly indicated in the advertisement and it’s excellent value for money. The apartment is close to Kinkakuji tempel (the Golden Pavilion) and there are a bus stop and a Lawson convenience store within 100 meters. Also, communication with Mi was super, he responded to all my messages very quickly and he was flexible about our travel dates. I would stay here again in the future, budget accommodation in Kyoto is hard to find! – It’s not fancy, I didn’t mind but if you are looking for something classy for your stay in Kyoto, this place is not for you! Check the room on Airbnb | Rating: 4 stars | Price paid for a night: €28/$31. 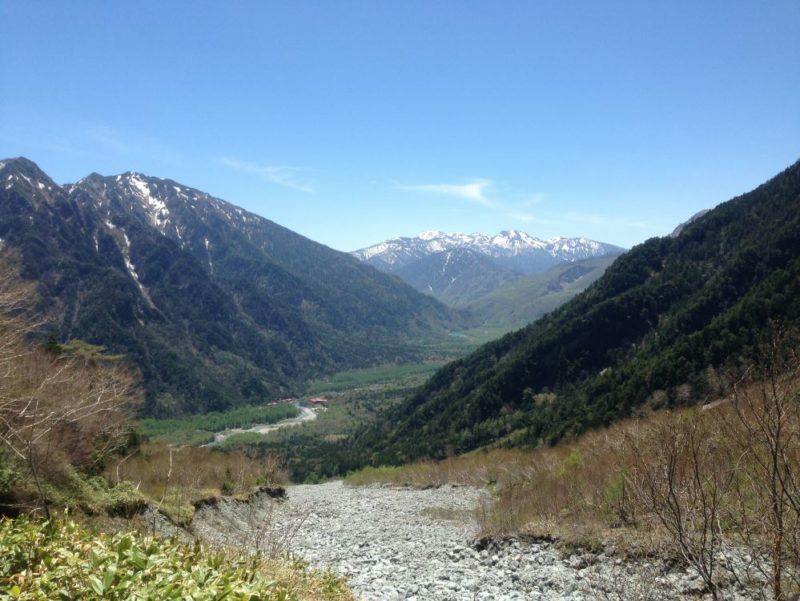 Though the entire trip around Japan was amazing, the Japanese Alps were definitely one of my favorite areas. I love mountains, perhaps because we don’t have any in the Netherlands (why do we always want what we don’t have;-). 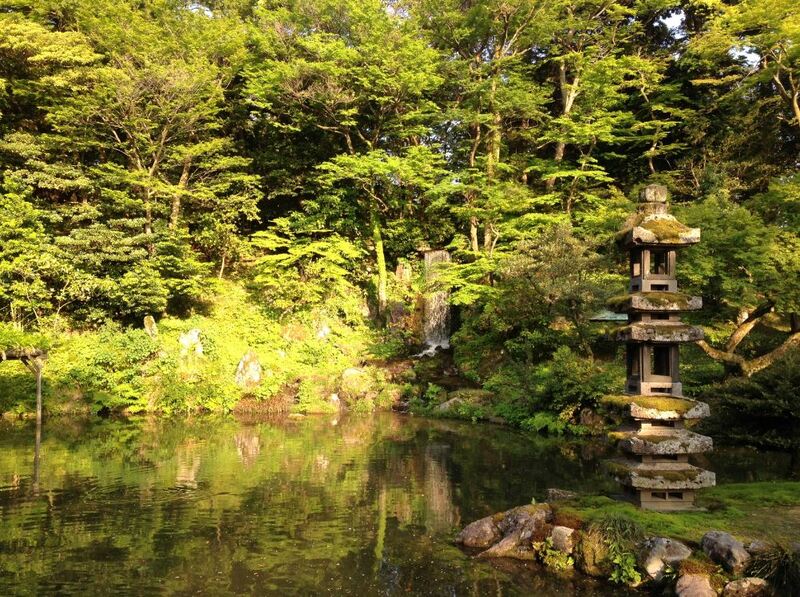 We started our journey through the Alps in Kanazawa to stroll around the lovely Kenruko-en garden. 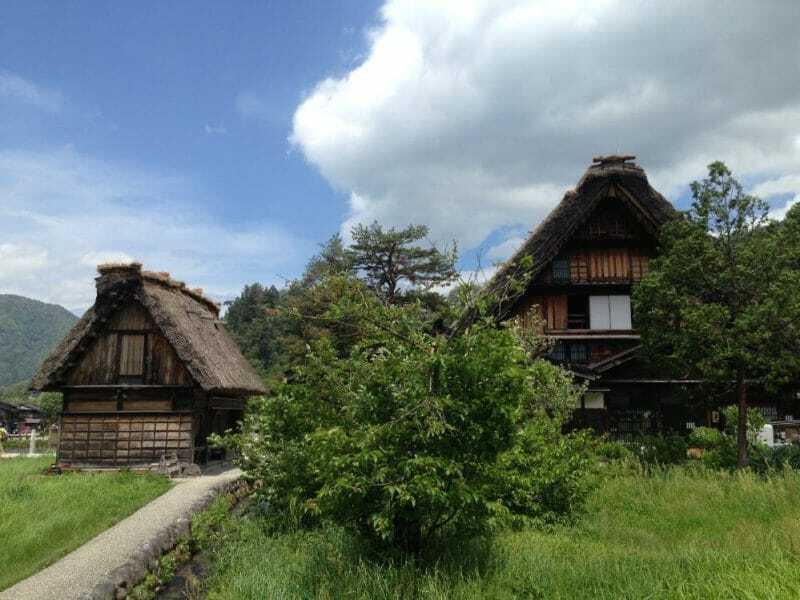 The next day we got on a bus to Shirakawa-go, famous for its traditional gassho-zukuri farmhouses, some of which are more than 250 years old! On to Takayama we went and from there to Kamikochi, one of the most beautiful places I have ever seen. I spent three days in Kamikochi, surrounded by mountains, climbing volcanoes and sleeping in our little tent at a very well-managed campsite. Suffice to say, I was completely and utterly happy. Last but not least we visited the beautiful castle in Matsumoto, one of Japan’s most famous and well-preserved historic castles. 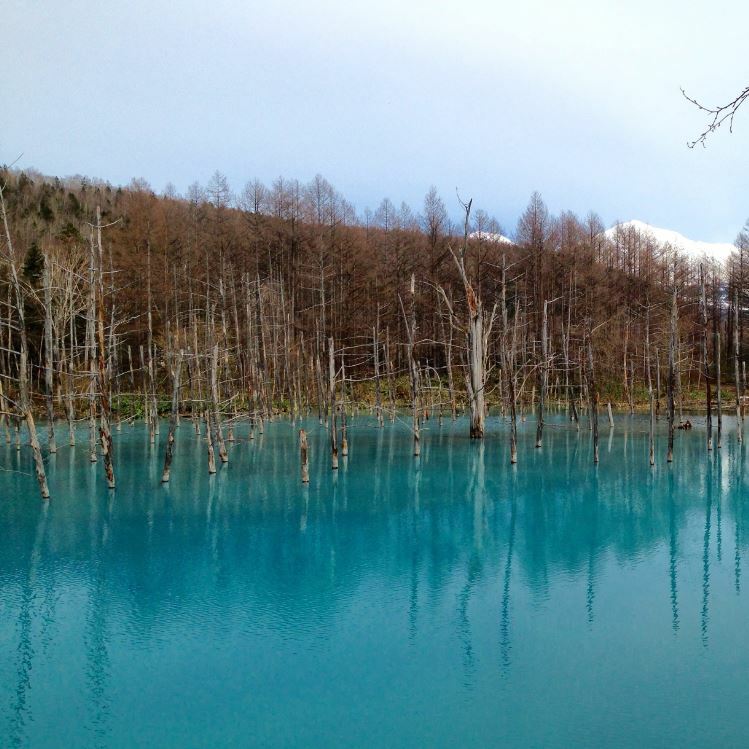 Check out my travel guide for the Japanese Alps. 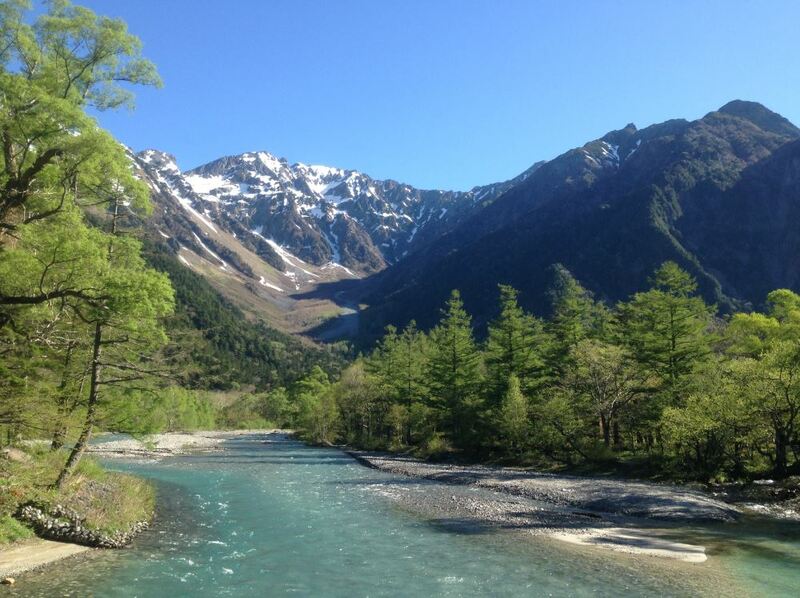 Also read my Kamikochi camping and hiking guide. 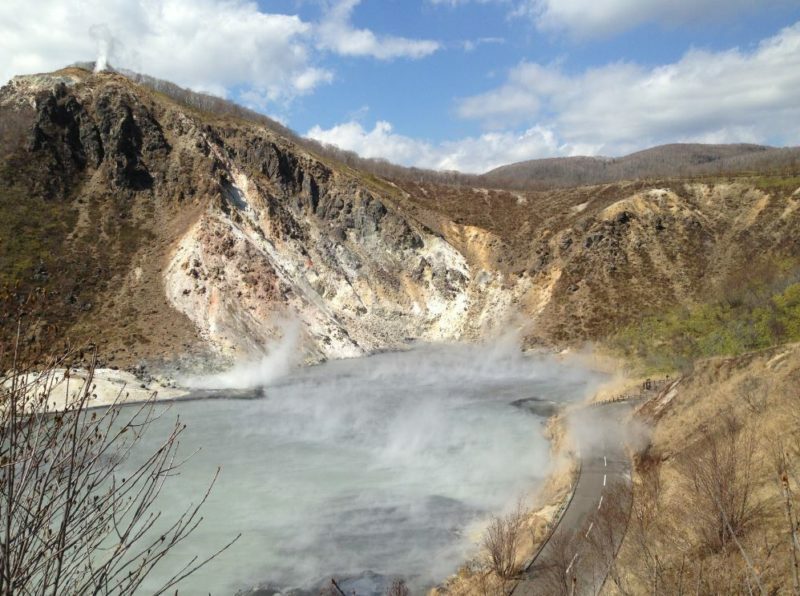 From the wilds of Hokkaido with its hauntingly beautiful nature and it’s bitter cold to the tragic and terrible history of Hiroshima. From the floating Tori gate of Miyajima to the peaks of Kamikochi, the temples in Kyoto and the mysterious forest of Koyasan, it was a wonderful trip. And that’s not even taking into account all the delicious food! 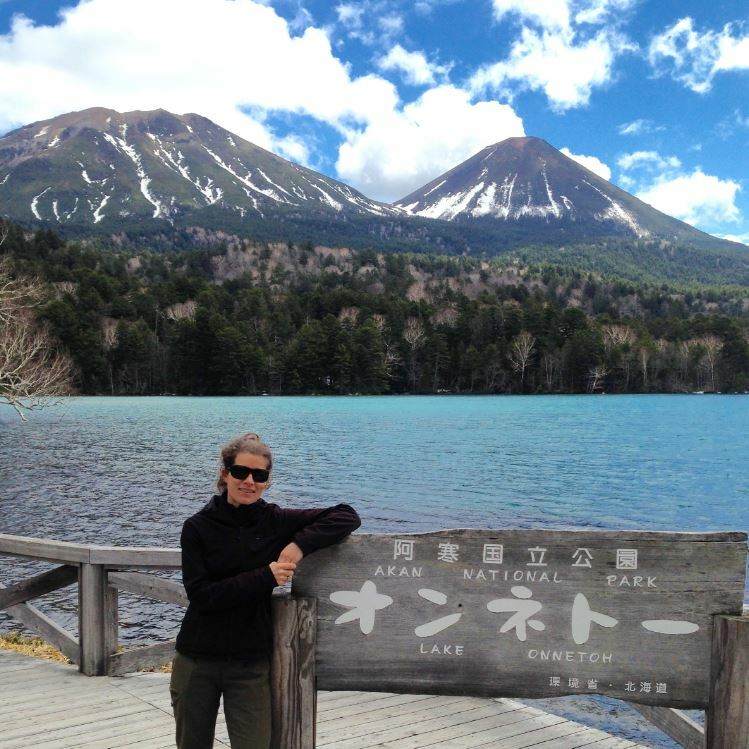 I would love to do more backpacking in Japan and hike a multi-day trail on Hokkaido, climb Mount Fuji and go diving at Okinawa… Next trip! During our Japan trip we mostly traveled by public transport. 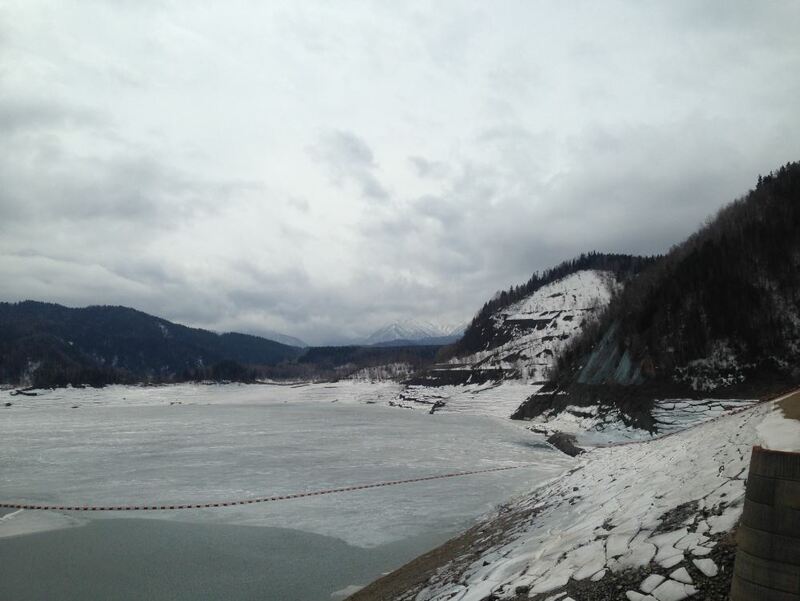 Only on Hokkaido we traveled by car, but on Honshu we traveled by train, bus, MRT and ferry. You can read more detailed information how we traveled from A to B in Japan in my location specific posts for Tokyo, Kyoto, Hiroshima, Miyajima, Koyasan and the Japanese Alps. 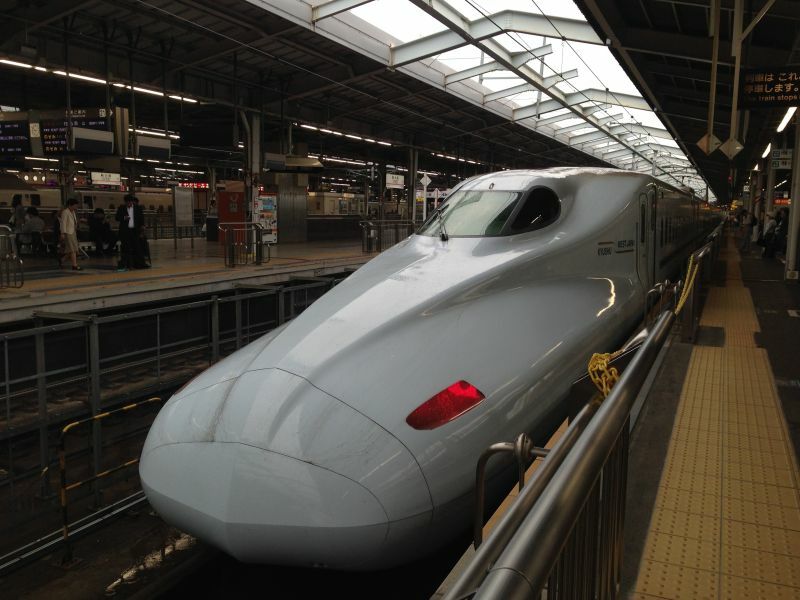 Japan has great public transport and is famous for the ‘shin-kansen’, also known as bullet train. We only traveled on the shin-kansen from Osaka to Hiroshima, for our other train trips in Japan we took local trains which are much cheaper (and slower) than the shin-kansen. However, if you plan on covering large distances in a short period of time, it’s interesting to look into the Japan rail pass. This pass gives you unlimited trips on all JR trains, JR buses and several other lines. You can choose a pass valid for 7, 14 or 21 consecutive days. Know that the Japan rail pass costs a substantial amount of money and is not always the most economical option. It’s worth calculating the costs of your Japan itinerary with and without the rail pass when planning your Japan trip to see which option is best for you. I hope this post has given you an idea what to see in Japan, you can download the map our our Japan itinerary below. For some reason I always think of busy compact cities and quiet blossom gardens when I think of Japan, but it’s great to see a mountainous side to it too. A very useful guide which I’m pinning for later! 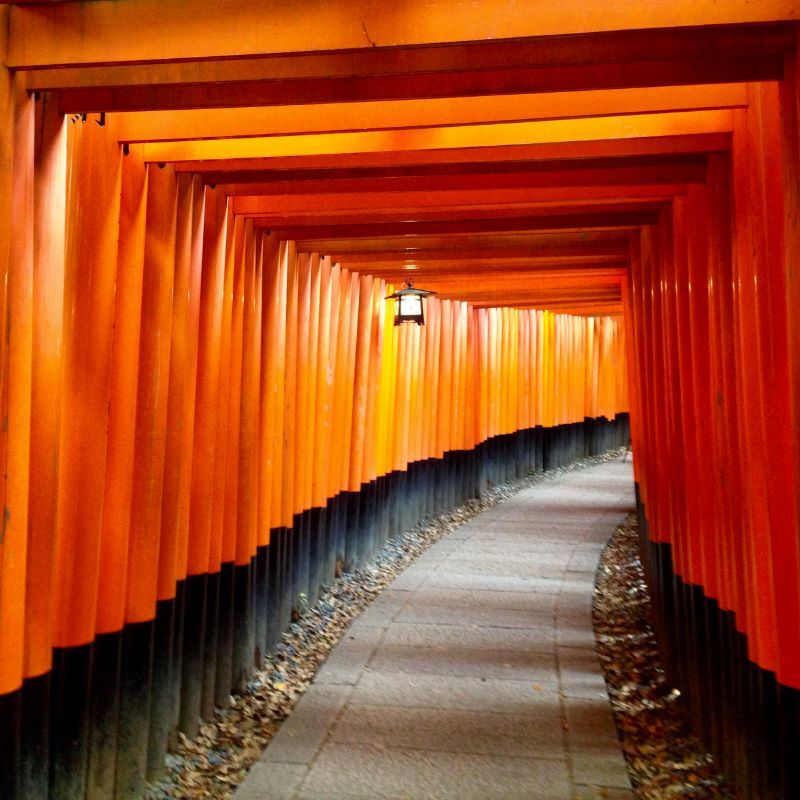 Thank you for such a DETAILED and awesome post about Japan. We are also going for 1 month, and we’re excited to more or less follow your footsteps! We’re going in August though, and are expecting everywhere (including Hokkaido) to be quite hot. What month did you guys go in? My family visited Tokyo, Osaka and Kyoto a summer ago. Your right, it was a trip I will not forget! We had the chance to see many of the sights you discussed. It is wise when planning an itinerary, do so by neighborhoods. This ensures you get a lot of sights in. Be prepared to be exhausted every night. Thankfully we will return next year for my daughter’s semester abroad. I book marked this post to help set our itinerary. Thanks so much for sharing your experience! Japan is definitely a country you will never forget, so unique both in culture, food and architecture… Lucky you that you’ll be going back next year, I hope you have another unforgettable trip in Japan! Hi!! 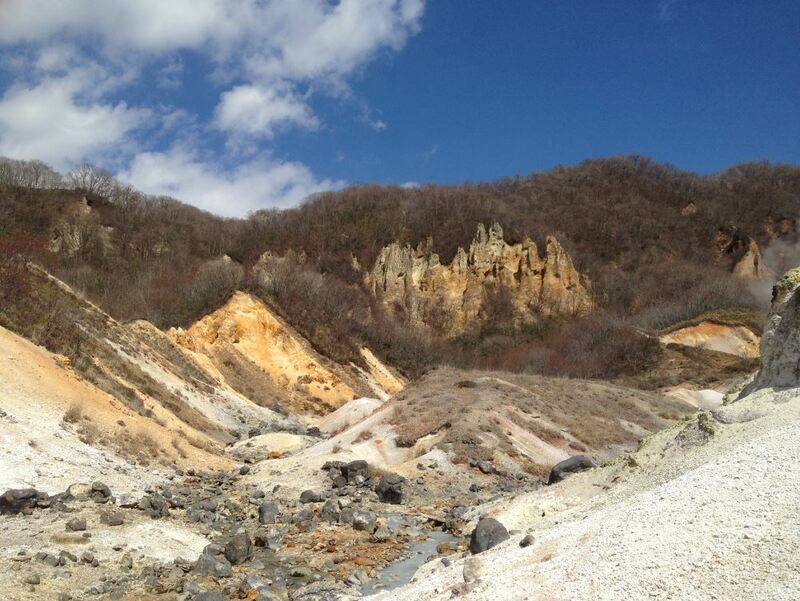 i’m so happy i found this blog, i’m travelling in April to Japan for 1 month with my boyfriend, and i we love hiking and nature too, and we were thinking about a roadtrip by car too in Hokkaido, so it is perfect! it was very very useful! thank you !! and if you love mountains and nature, you would love my country (Chile), specially Patagonia. Thank you so much Carolina! I hope you have a wonderful trip in Japan and Hokkaido:-) Let me know if you have any questions. I would love love love to visit Chile, it’s on my bucket list… I’ve seen so many pictures of Patagonia and it looks absolutely spectacular! Hello Lotte, how much apx. 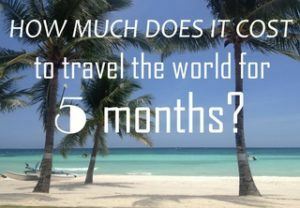 did you spent per months per person (flight tickets excluded), please? You can find a detailed budge breakdown of our Japan trip here: https://www.phenomenalglobe.com/japan-travel-budget/. We spent €107/$122 as a couple (so for the two of us together). Let me know if you have any other questions! Hey, I tried downloading your 1 month itinerary powerpoint but I dont think its fully uploaded properly? Is it possible to get a fully detailed itinerary to your trip? also I have questions about the JR Pass, once I get it, do I need to reserve seats on trains ahead of time or do I just show up and I get to get on the train? Sorry to dissapoint you but yes, this is it. This map is to give people an overview of Japan and how much of the country you can explore in a month. All the detailed information on how to get to a certain place is mentioned in the posts about those places (e.g. 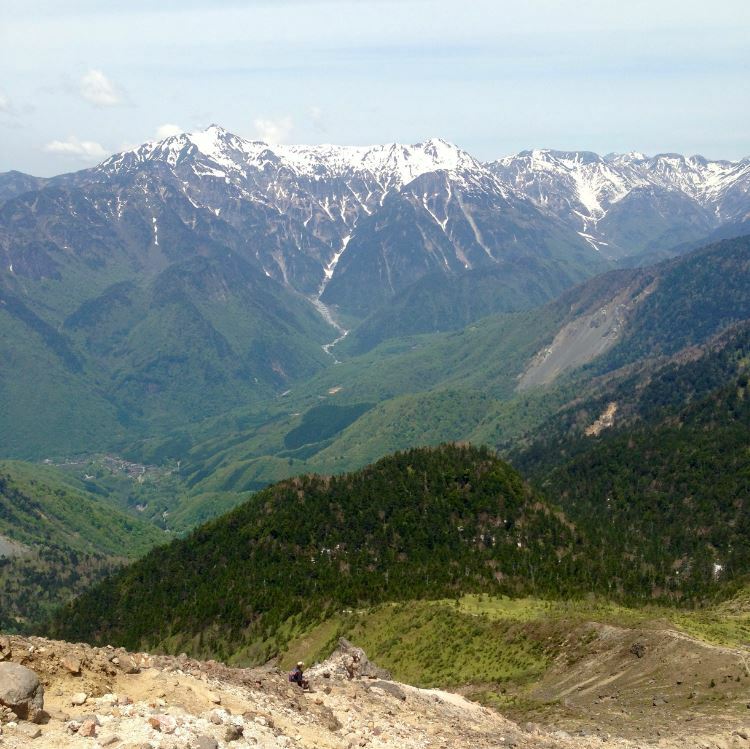 the Japanese Alps), let me know if you have any questions after reading those! About the JR Pass, you don’t have to make a reservation (we never did) as all trains have both reserved as unreserved seats. Reservations can be made at a JR ticket office (found on larger stations). Have a great trip! this is an incredible post, found it very helpful! I am planning a rather ambitious cycle trip during august/sept summer 2019. My intention is to cycle around Tohoku over a month period or so staying at hostels and airBnB along the way. However i am finding that there doesn’t appear to be many hostels in the north of Honshu. I noticed you didn’t stay anywhere in Tohoku i was wondering was that because of a similar reason? How far in advance would you advise booking rooms to stay? Thank you for your kind comment! Your cycle trip sounds amazing:-) I actually didn’t research that area, Japan is such a large country and there is so much to see, there was only so much we could visit in one month. 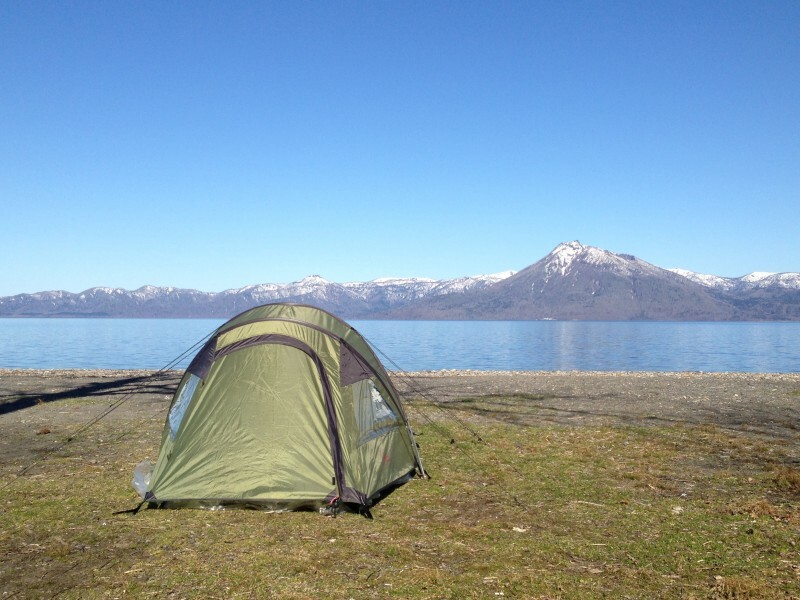 The Tohoku area didn’t make the cut… I checked http://www.hatinosu.net/ and there are some campsites but you are right about Airbnb and Booking showing very few options! Perhaps you can try finding a Japanese hotel booking site or you can consider carrying a small tent. We didn’t book that far ahead, I think only a couple of weeks and on Hokkaido only 1 or 2 days.